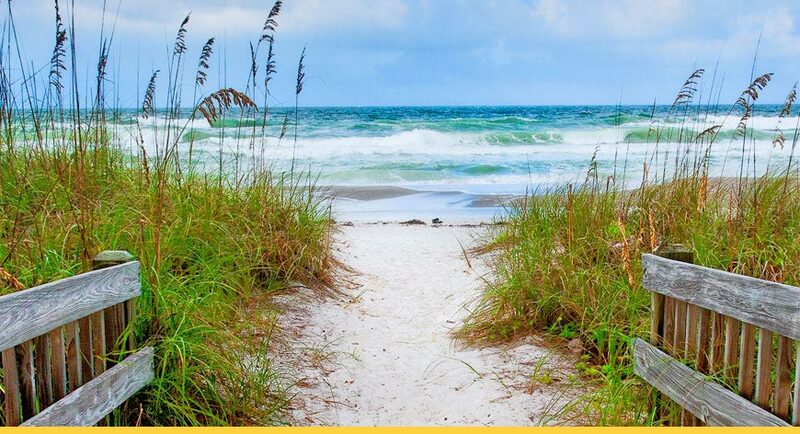 Today, Lido Key, is home to a renowned white sand beach that was renourished in 2009, along with hotels and motels and a population of about 2,500 full- and part-time residents — who, like the island’s earliest residents, no doubt also worship the sun. The Paleo and Calusa Indians lived on Lido Key and the surrounding lands for 4,000 years, and archaeological evidence suggests they worshiped the sun. The Indians left the barrier island after Spanish explorers came in search of gold in the 1500s. Then, for more than three centuries, the barrier island was largely uninhabited. But John Ringling took an interest in Lido Key in the 1920s. Hoping to inspire Warren G. Harding, who was president at the time, to buy a winter home on nearby Bird Key, Ringling named the streets on Lido Key after American presidents. In 1940, the city of Sarasota opened the Lido Casino with funding from the Works Progress Administration, the largest New Deal agency, to attract tourists and provide jobs. The casino was a popular attraction in the 1940s and 1950s. Tourists often lined up to have their pictures taken with the large seahorse sculptures that were attached to the building. The casino was demolished in 1969, and, today, the Lido Beach Pavilion stands in its place. 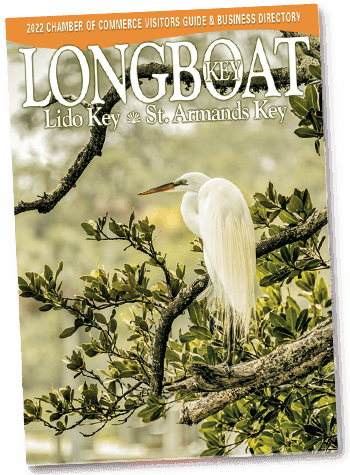 Lido Key was among the barrier islands Arvida purchased for $13.5 million in 1958. But the public protested in 1967, when Arvida proposed enlarging part of Lido Key, as it had Bird Key. As a compromise, Arvida sold Sarasota County the northern and southern tips to use as county parks. The center is open every day but requires advance notice to reserve a court. To make a reservation, call the Tennis Center at 941-316-TENS (8367). 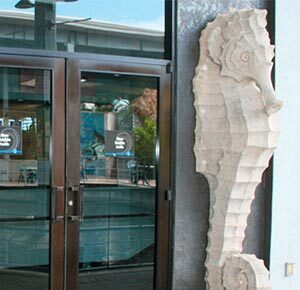 Two molds of the original seahorse sculptures from the Lido Beach Casino now stand at Mote Marine Aquarium, where they were moved in 2009 after spending decades in storage. Lido Beach and pool are located on 15 acres of land along the Gulf of Mexico on Lido Key, one half-mile southwest of St. Armands Circle, on Ben Franklin Drive. 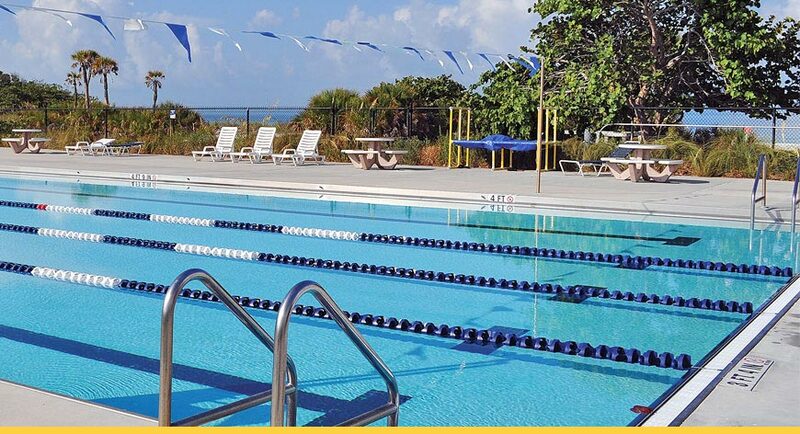 Amenities include a swimming pool, pavilion, 400 parking spaces, beach wheelchairs, concessions, gift shop, picnic facilities, playground, restrooms and recreation building. This beach is the former home of the famous Lido Beach Casino, which opened in May 1940. The casino, which became a magnet for residents and visitors, combined art deco, modern and Frank Lloyd Wright features. The casino was demolished in 1969.The Lido Beach pool and pavilion is open from 10 a.m. to 4:45 p.m. Tuesday through Sunday, weather permitting. It is closed on Mondays, Christmas Day and New Year’s Day. The pavilion includes a 25-meter lap pool with five lanes for lap swimming. Alcoholic beverages, food, drink and pets are prohibited inside the fenced area of the pool. Daily fees vary based on age; three-month seasonal and annual passes are available. 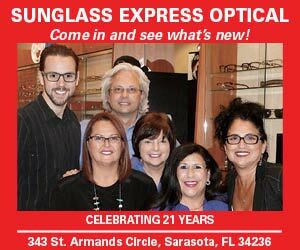 For more information, call 941-329-6181.